Although the Robert Oatley Vineyards is located in Mudgee, they don’t limit themselves to fruit from that region. Instead, they look throughout Australia and source grape varieties in the Australian regions where they thrive most. They use sustainable practices and strive to be as organic as possible. They produce a wide swath of wines that show off good varietal character. I recently tasted through a number of their current releases and found a lot to like. Here are some thoughts on a few of my favorites. Lemon zest aromas inform the welcoming nose; subtle bits of grass and white pepper are present as well. The palate is gently layered with white peach and other stone fruits. A hint of marzipan emerges on the finish, alongside bits of sour yellow melon and grapefruit. This Sauvignon Blanc has a really soft and lovely mouth-feel. It goes down easy and features lots of solid character. It also rides the middle of the Sauvignon Blanc line; it’s not super citrusy, overly grassy, nor extremely tropical. Instead, it draws bits from all of those camps. Anjou pear and wisps of white peach emerge from the nose here. The palate is fruit-forward, while remaining proportionate and lovely. Lots of orchard and stone fruit characteristics are joined by subtle hints of spice. Bits of limestone are present on the above-average finish. There is a nice weight and terrific feel to this wine; I simply didn’t want to put it down. It’s a really expressive and clean Chardonnay that is gently accented by oak. This wine is a blend of Grenache (60 percent), Shiraz (30 percent) and Mourvedre (10 percent). There’s a gentle bit of pleasing tar on the nose, alongside a potpourri of red fruit aromas. Blackberry and forest floor elements are in evidence throughout the palate, while earth, minerals and hints of smoked meat are evident on the finish — which is well above average for the price point. This is a fantastic food wine; pair it with all but the lightest or heartiest fare. Plum, violet and blueberry aromas are tinged by a tiny hint of charcoal on the lovely nose. There’s a ton of black cherry and pepper spice on the palate, along with more blueberry notes. Bits of espresso and sour black fruits mark the finish. Fleshy tannins and firm acid provide good structure. You’ll have a hard time finding a better wine to pair with a burger. Toast, vanilla, sage and dark berry fruits are all present on the nose here. The palate is stuffed with black fruit flavors, spice and savory herbs. Bits of earth, black cherry and a dusting of cocoa are all present on the finish. This quintet of wines from Robert Oatley impresses with the quality in the bottle at under $20. In each case, the wine is typical of the variety in question. In the case of the blend, it’s a pretty classic example of a GSM at a very agreeable price. Besides those qualities, these wines are connected by a purity of fruit and lovely textural elements that keep them on the same stylistic page. These are wines that most can afford to drink on a regular basis, but the quality may inspire you to pour them on special occasions too — and that’s okay; they’re clean tasty wines that will enjoy wide appeal. These wines represent the tip of the iceberg when it comes to the Robert Oatley portfolio. Ironstone Vineyards 2012 Ironstone Reserve Chardonnay – The fruit for this wine came from Sierra Foothills vineyards that have been in the family for four generations. This offering is 100 percent Chardonnay. The fruit was hand-selected and gently pressed. Barrel aging occurred entirely in French oak; bottle aging followed prior to release. About 1,000 cases of this wine were produced, and it has a suggested retail price of $19.99. Bright apple, white fig and gentle crème brulee aromas are all part of the nose of this Chardonnay. The palate is studded with Asian pear and a potpourri of different apple characteristics. Reminders of Challah bread and pie crust lead the above average finish, which also shows off wisps of cinnamon, butter and rugelach spices. Ironstone Vineyards 2012 Old Vines Zinfandel – All of the fruit for this wine came from Mokelumne River, a sub-appellation of Lodi. In addition to Zinfandel (92 percent), a small amount of Petite Sirah (8 percent) was blended in. Barrel aging took place over 6 months in entirely French oak. About 15,000 cases of this Zinfandel were produced, and it has a suggested retail price of $11.99. The boisterous nose of this Zinfandel is led by violet, plum and red raspberry aromas. The aromas are so welcoming they practically demand you take a sip. When you do, you’ll find red and black raspberry, which is a just a wee bit of a jam element. Blackberry and blueberry flavors are present, along with black pepper and clove spices. All of these flavors continue through the finish which has reasonable length. This is a crowd-pleasing wine that goes down easy. You could pair this wine with a lot of full-flavored foods such as BBQ, but for me this is a perfect Tuesday-night-with-pizza wine. Ironstone Vineyards 2012 Petite Sirah – The fruit for this wine was sourced in the same sub-appellation that the above Zinfandel came from. After fermentation the wine was aged for 2 months in new French oak. About 5,000 cases of this wine were produced, and it has a suggested retail price of $11.99. The moment you pour this wine it has that beautiful deep purple hue that more than any other varietal brings to mind grape juice. Deep, concentrated dark fruit aromas are joined by vanilla and a hint of bay leaf. Lots of dark and brooding flavors are in play throughout the densely flavored palate; plum, blueberry and blackberry are prominent. White pepper, cardamom and minerals are all in evidence on the solid finish. Medium tannins give easily with some air. Decanting this wine for 30 minutes really allows it to open up. This is a big mouthful of delicious flavor for less than $12. Ironstone Vineyards 2011 Obsession Red – The fruit for this wine was sourced in both the Sierra Foothills and Lodi, California. This blend is comprised of Merlot (50 percent), Zinfandel (40 percent), and Petite Sirah (10 percent). After fermentation the wine was aged in French oak for 3 months prior to bottling. 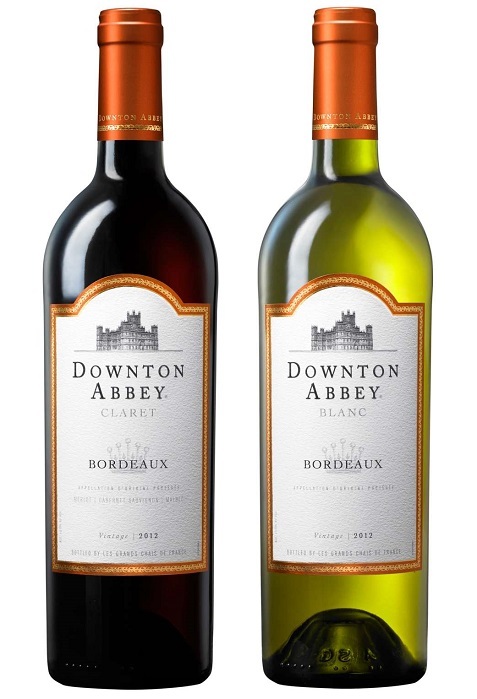 About 2,500 cases of this release were produced, and it has a suggested retail price of $14.99. Plum, blueberry and plum pudding spice elements are all present on the nose. The palate is full-bodied with black cherry elements leading a veritable boatload of sweet fruit flavors. Espresso, chocolate dipped cherries and copious spices are all present on the finish. This trio of grapes comes together to form a wine with sweet, dark fruit and good structure. BBQ season is coming, and you can pair this with anything that comes off your grill. This quartet offers a small window into the array of offerings Ironstone produces. Their wines are quite fairly priced for the quality in their respective categories. The Chardonnay is a tremendous value. The bottom line is that if you wanted to buy a Napa Valley Chardonnay of that quality and depth, you would most often need to spend $40 to $50. That makes the Ironstone Reserve Chardonnay a very smart buy for fans of that grape. Many of their wines are available on shelves all over the U.S., so check them out; it’s likely to lead to a tasty good deal. Want Killer Cabernet for Less Than $20? Look to Chile! Chilean Cabernet Sauvignon holds a special place in my heart. Back when I was getting deeply into wine, bargain priced Cabernet Sauvignon from South America, and Chile in particular, helped drive my interest. It was amazing to me that there was so much good wine for such a low price. Cabernet from other areas didn’t seem like it could compete dollar-for-dollar with what was coming from Chile. Flash forward 20 years and some things have changed. Bargain-basement-priced Cabernet isn’t the thing I first think about when I think of Chile — instead I’m consumed with the amazing bounty and diversity hitting our shelves from there at more than fair prices. And when it comes to Cabernet Sauvignon specifically, there may not be a lot of great ones for $6 these days, but other regions still have a hard time competing with Chile dollar for dollar. This time out I’m looking at three Cabernets from Chile that retail for under $20; they really spoke to me when I tasted them side by side. First up is the William Cole Vineyards 2010 Columbine Special Reserve Cabernet Sauvignon. This offering is 100 percent Cabernet. All of the fruit for this wine came from the Colchagua Valley. Fermentation took place in stainless steel tanks over eight days, and aging in French oak barrels over 12 months followed. This wine, which has a suggested retail price of $18, is widely available. Violet, plum and blueberry aromas are joined by vanilla bean on the nose of this Cabernet. The black fruit characteristics steal the show here, with blueberry and zingy black raspberry leading the way. Minerals galore, earth and spices such as black pepper and cardamom mark the finish, which is above average in length. This is an elegant and graceful Cabernet for the price point. Next up is the Peñalolen 2010 Cabernet Sauvignon. This wine blends together Cabernet Sauvignon (85 percent), Cabernet Franc (7 percent), Merlot (6 percent) and Petit Verdot (2 percent). The fruit for this Cabernet came from the Maipo valley. After fermentation, barrel aging took place over 12 months, and 20 percent of the barrels utilized were new. Roughly 80,000 cases of this vintage were produced, and it has a suggested retail price of $19. Aromas of Red Delicious Apple emerge from the nose of this Cabernet. Cherries, spice and bits of red raspberry are present as well. The palate here is proportionate and balanced with loads of red fruits, joined by hints of cinnamon and pepper. Soft tannins mark the structure, which is all about balance and grace. This Cabernet leans toward red fruit flavors from the first whiff to the last note on the finish, which has solid length. This is an approachable, food friendly Cabernet Sauvignon that will drink well over the next five years. This wine will work with a wider array of foods than the average Cabernet. This week’s Happy Hour entry is a wine review to get you ready for summer. Gabe Sasso takes a look at several wines from Grüner Veltliner. It sounds like the kind of wine your lady friend would like as well, so it’s definitely worth checking out. One of the wine varietals that has been making its presence known the last few years on U.S. shelves, wine lists, and the like is Grüner Veltliner. This is a white grape that’s predominately grown in Austria. It’s a grape that often produces crisp, aromatic wines that are particularly well suited to pair with a wide array of foods. Depending on the style in which it is made, as well as the provenance of the grape source, the wine can also have the propensity to age quite well. Other wines from Austria are starting to find more room on our shelves too. On the red side of things, Blaufränkisch is a noteworthy varietal that we should be seeing more and more of, as time goes on. 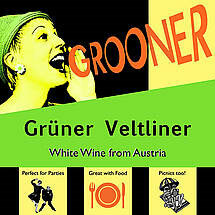 Grüner Veltliner, though, is the entrée for many wine lovers into the joys and complexities of Austrian wine. Today I’ll look at three examples that provide excellent quality, and value, and a cross section of Grüner Veltliner styles.